I summarize my arguments against quantum computers (QC). By QC, I mean super-Turing scalable quantum computing. I have posted similar arguments before in Sluggishly expanding wave function, The universe is not a quantum computer, and Ivan Deutsch says no true qubit yet. People have claimed to have done quantum computations, such as factoring 15, but there is no true qubit, and no quantum speedup over a conventional computer. Here are the main 3 reasons. 1. The same reason I am skeptical about supersymmetry (SUSY): the theory is interesting and the math is sound, but when our leading experts spend a billion dollars looking for ten years and see no sign of it, it is time to consider that it may not exist. 2. Disproving Church-Turing Thesis as a characterization of computable functions would be a very surprising result. Quantum mechanics (QM) is also surprising, but it doesn't actually conflict with Church unless it is strictly valid to a very high precision where it has never been tested. 3. QC is unexpected in positivist interpretations of QM. 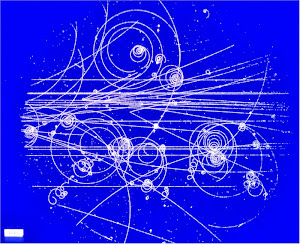 I see QM as a clever calculus for tracking electrons possibly being in 2 or more places at once. 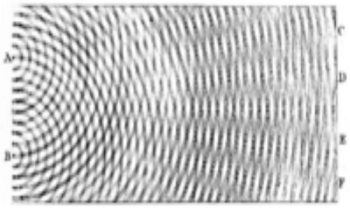 For example, the famous double-slit experiment can be interpreted as a electron going thru both slits at once, and the wave function giving probabilities for each slit. To a positivist like myself, the electron is never really in two places at once, as that is never observed and the theory does not require it. That is just a convenient fiction for visualizing a quantum that has some particle-like and some wave-like properties, but no exact classical counterpart. If I really believed that an electron could be in two places at once, then I might believe in QC. The whole idea behind QC is that the multi-positional property of electrons can somehow be used for computational advantage. Whereas regular computers are built out of on-off switches and gates, a QC would be built out of gates that act like little double-slits, dividing reality into pieces and simultaneously operating on the pieces. QC teaches complementarity, meaning that an electron can be considered a particle and a wave, but if you try to do both at the same time, you get into trouble. That is just what QC does -- try to make an electron a particle and a wave at the same time. With quantum computing the tables are turned, with the skeptics forced to handwave about present-day practicalities, while the proponents wield the sharp steel of accepted physical law. Maybe so. When the experts figure out whether QC is possible, we can revisit this page and see who was more right. But a third problem is that even inside a black hole, your secrets might not be safe forever! Since the 1970s, it’s been thought that all information dropped into a black hole eventually comes out, in extremely-scrambled form, in the Hawking radiation that black holes produce as they slowly shrink and evaporate. What do I mean by “slowly”? Well, the evaporation would take about 1070 years for a black hole the mass of the sun, or about 10100 years for the black holes at the centers of galaxies. Furthermore, even after the black hole had evaporated, piecing together the infalling secrets from the Hawking radiation would probably make reconstructing what was on the burned paper from the smoke and ash seem trivial by comparison! But just like in the case of the burned paper, the information is still formally present (if current ideas about quantum gravity are correct), so one can’t rule out that it could be reconstructed by some civilization of the extremely remote future. Sorry, but I do not accept conservation of information as a physical law. I say that if you burn a book, you destroy the information in it. He says that the information is retained in the ashes somehow, but there is no practical or conceivable way of getting the info out of the ashes. Saying that the ashes retain the info is not a scientific statement. The same kind of people, who believe in the many-worlds interpretation of quantum mechanics, also believe in time-reversibility, and in information conservation. I guess you could believe in these things separately, as I don't think Aaronson believes in many-worlds. But they are all just abstract prejudices that have no real theoretical or experimental grounding. Conservation of information is nothing like conservation of energy or momentum. Those types of conservation laws are theoretically grounded in symmetry principles, and experimentally tested to high accuracy. Conservation of information is just based on a belief about how people should think of probability. When Aaronson talks about the "sharp steel of physical law", he means things like information conservation. And by that, he means that your privacy is not safe in a black hole because info might leak out over the next 1070 years. Making a quantum computer might be like extracting info from a black hole. Certain experts will always say that it is possible, but it is so far removed from anything observable that it is just idle speculation. The only thing these quantum retards are (re)discovering is analog computation and how difficult it was to build analog computers. "The overlap between "interpretations of quantum mechanics" and "quantum computing" is still imprinted onto the descriptions of various research groups and grant proposals but as far as I can say, pretty much everyone realizes that there is no actual overlap in the research. It's been clear from the beginning which interpretations are viable and which interpretations are not - a few basic experiments (and their theoretical descriptions) are enough to test an interpretation. An interpretation must be "de facto equivalent" to e.g. the Copenhagen interpretation or any other equivalent interpretation, otherwise it's wrong. And everyone realizes that the selection of the "personally preferred interpretation" from the equivalence class is a matter of personal taste and physicists usually don't talk about it. So the quantum computation business has become a specialized and advanced "engineering field" which is standing on totally firm foundations and doesn't need to ask any questions about them. On the other hand, much of the continuing research of "foundations of quantum mechanics" has become a philosophical field whose purpose is to unlearn certain things that have already been learned, or solve the solved questions again and again. The two disciplines have totally diverged in practice." Hahaha..the 'mere engineering' escape hatch used once again. Motl: "...a specialized and advanced "engineering field" which is standing on totally firm foundations "...really? Yes, I realize that the ivory tower loons view engineering problems as those that can be taken up by inferior minds but, honestly, 25 years has gone by and the daily "news" of "astonishing progress in quantum computation" is getting a bit tiresome. Maybe these "winners" and "geniuses" like Motl and Master Witten should quit hiding behind their investment bank criminal sponsors and start doing some actual work in the trenches for a change rather than being members of Club String Fantasist. Well Roger, it looks like this hot dog is a real corn dog.